A city centred round its harbour, much of its accommodation can be found close by, though our recommendations for the best places to stay in Bodrum tend to be further out of town. The preferred method of travel is by sailboat, or yacht, and the most popular meals are made with the freshest bounty of the sea - served in the city’s nicest restaurants which line the coast. Moving away from the harbour and into the city centre, Bodrum’s culture is focused on the purity of that deep blue water, with many visitors and locals coming in off the ocean to spend a pleasant afternoon in one of the Turkish baths for some rest and relaxation. Even Bodrum’s history is best discovered under the harbour - a visit to the popular Museum of Underwater Archaeology will have you feeling like you’ve landed in Atlantis. Before you come back to the surface though, take a moment to look out of the renovated windows of Bodrum Castle for a spectacular view of the life blood of the city - the crowded harbour which is still keeping the city going. Tourism is Bodrum’s cash cow, and more than a million visitors flock to its beaches each year. 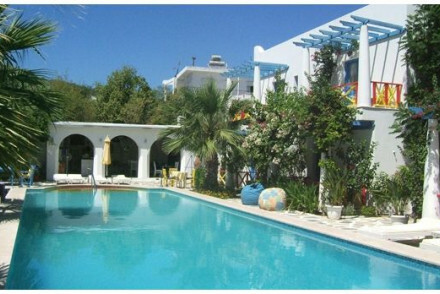 But Bodrum retains a bougainvillea-shaded charm, and houses that look like they’re made of sugar cubes. Especially in the outlying coastal villages. The castle and museums, Ottoman era mosques and laws restricting building works have helped to preserve Bodrum's own character. It's only in the last few decades that this fishing village has been associated with idyllic beach breaks and favoured by royalty and A Listers. 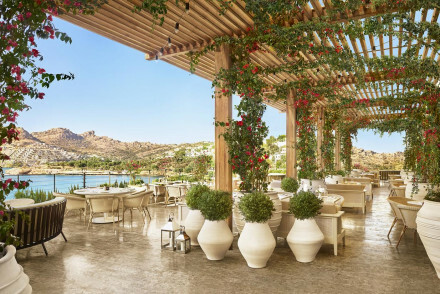 But behind the fancy bars and restaurants and the palm lined promenades many of the best places to stay in Bodrum are still reasonably priced. And of course the beaches are free, as are many of the historic sights and museums. So Bodrum is a great option if you're on a budget and you just want one base. Visit St Peter's Castle, both beautiful, well preserved and boasting fabulous views across the city. Be sure to stop at the Museum of Underwater Archaeology, a fascinating and unique attraction for this coastal region. Wander through the pretty cobbled streets of the Gumusluk area and bask on the scenic beaches. The Bodrum Amphitheatre gives an interesting insight to the city's past. Spend a lazy day unwinding on the picture perfect Yahsi beach. As with such a popular place to visit (especially during the peak summer months) many of the best places to stay in Bodrum are quickly snapped up, so plan ahead to book you favourite. If you're looking for your own little piece of this beautiful region - and some peace as well - one of the best places to stay in Bodrum is Antik Zeytin. Just back from Golturkbuku at the foot of the forest, the eight stone cottages of Antik Zeytin make the most of the panoramic views of the Aegean, and the forest and olive groves in the foreground. Sandima 37 Suites is a gorgeous stone mansion with huge living spaces and private balconies which have glorious views of the sea. There's also a beautiful garden. And an atmosphere of characterful calm. There are six rooms and six suites, one which sleeps up to five, so this is also a good option for families. There are a lot more than four reasons that 4Reasons Hotel & Bistro is one of the best places to stay in Bodrum. But the top four are probably: location, on a hillside in as-yet-unspoilt Yalikavak; friendly atmosphere, warm even for Turkish standards; design, think elegant simplicity; and the facilities, including a pool amongst olive trees and an excellent bistro. With its simple, spacious rooms, lovely garden and pool and prices for its 12 rooms beginning at just €70 per night, you can't beat the Sah Hotel for value. In a quieter part of town, the white, cubist oasis of the Su Hotel & Cottages is perfect for families watching their wallets. Suites have kitchenettes and there's also two bedroomed apartments if you need more space. And it's all arranged prettily around a large pool. 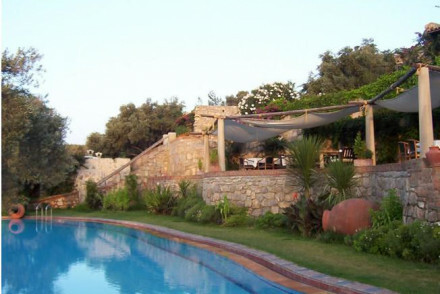 Su Hotel & Cottages is also ideal if you're looking for a secluded spot in Bodrum proper. Rooms start from as little as €60. If you have the budget for an upmarket beach break, Maçakizi is one of the best places to stay in Bodrum. The Aegean views from the beach chic rooms and multiple pools are pretty special. And there's a fantastic restaurant, Nuxe spa with outdoor treatment tents and the hotel has its own fleet of hire boats. Casa Dell'Arte is the kind of boutique hotel with interesting modern art on display, a house party feel and no children under 12. 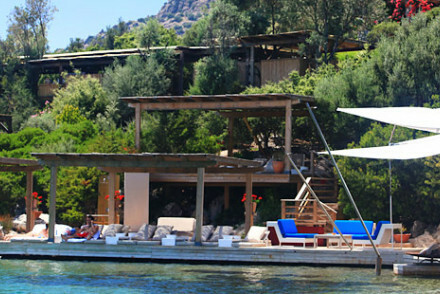 In sophisticated Torba Mahallesi, this is the perfect place to plan a grown up beach break. 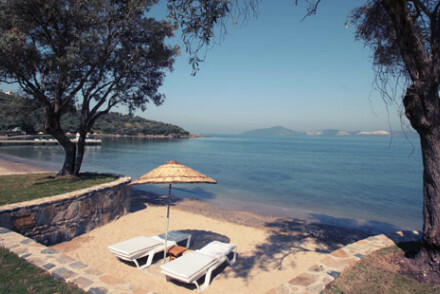 If you want to be close to Bodrum proper, but still have plenty of beach to call your own, our pick is the Doria Hotel. It is just 10 minutes drive away and has its own private beach. Chic modern styling and every comfort, including an excellent spa, this is one of the best priced boutique options in Bodrum. Caresse is a spectacular five-star resort directly on the Aegean Sea. Find plush suites, an extensive spa, two excellent restaurants and a stunning private beach. Ideal for a romantic escape on the Turkish coast. Fly to Bodrum-Milas airport located 35 km away from the city and with good international connections. Bodrum is also reachable by sea from Kos and Rhodes (Greek Islands). Daily ferryboat services from/to Kos and Rhodes to Bodrum are available during the summer season. Best time to visit - Bodrum enjoys a Mediterranean climate of long, hot summers, pleasant spring and autumn months, and short, mild winters. The summer months of July - mid-September can reach 35 degree Celsius so for those that want to avoid this extreme heat visiting late spring or early autumn is a more temperate time. Browse through our list of all the best places to stay in Bodrum. Widen your search and look at all our recommendations in Turkey. A family friendly and laid back hotel with its own beach and colourful contemporary rooms. Rooms and suites have balconies with sea views and all the mod cons. Lovely restaurant, pool, and lots of coastline to explore. Great for families. A sleek seaside hotel in contemporary chic style. White washed rooms and suites have splashes of the ocean, parquet floors, and private balconies with sea views. 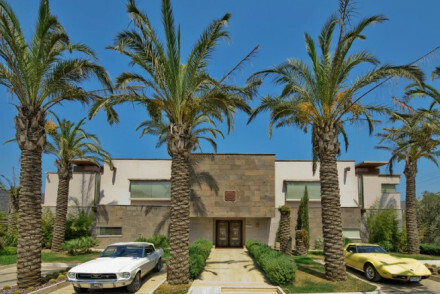 Excellent spa, swimming pool, and direct access to the sea. A fabulous choice for a beach holiday. Sailing - The hotel has its own private jetty. Boat trips can be arranged with the concierge. A stunning boutique chic hotel on the sea front. Luxurious rooms and suites are all in white and filled with modern art. Private balconies, all the mod cons, and stunning sea views. Excellent restaurant, spa, and easy access to the beach. A sophisticated beach holiday. 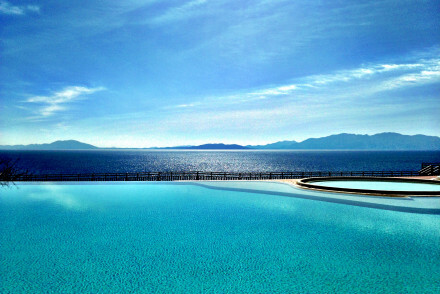 A spectacular five-star resort directly on the Aegean Sea. Luxury abounds with plush suites, an extensive spa, two excellent restaurants and a stunning private beach. Ideal for a romantic escape on the Turkish coast. Total relaxation - The perfect spot to unwind and forget everything, with spectacular suites, it's own private beach, and a deluxe spa. Local exploring - An indulgent base for exploring Bodrum and the surrounding region. Sights nearby - Visit local sights such as Bodrum Windmills and Myndus Gate, both within two miles. Luxury hotel arranged on prettily descending terraces featuring olive trees and plants, leading to an infinity pool and beach bar. Minimal-chic interiors feature cool white marble and massive potted plants, while elegant rooms are fresh with a muted palette. Expect innovative gourmet cuisine. A stunning hotel that attracts celebrity royalty and sun seekers. Rooms and suites in chic beach style with balconies, some private pools, and all the mod cons. Fantastic restaurant, spa, and lounge decks. An upmarket beach holiday.